In response to the proposed leasing of Alabama’s National Forests to oil and gas drilling, Wild South and several other Alabama organizations have united in opposition to this industrial development and the threats it poses to the environment and the health of our communities. As showcased in the documentary Gasland, drilling for oil and gas can have disastrous consequences for our environment and our communities. With a huge push to target domestic sources of energy there is not enough oversight or accountability for this industry. Attendees are encouraged to participate in discussions before the film. 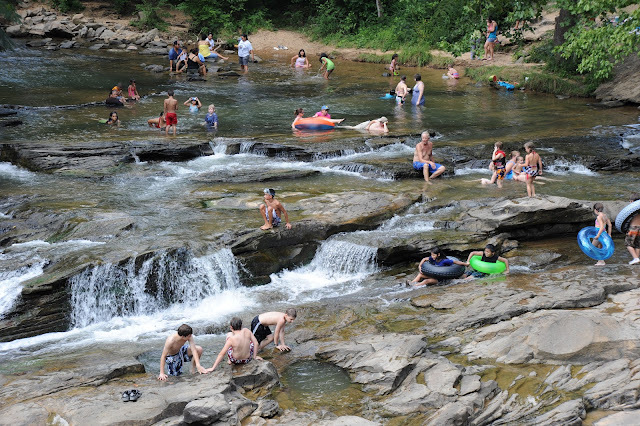 Information on what people can do to address oil and gas drilling in Alabama’s National Forests will be shared. The University of Alabama at Birmingham (UAB) takes recycling seriously. 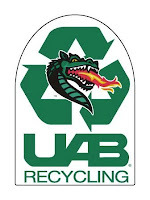 UAB created a Recycling Center that not only recycles materials from their campus, but also it accepts separated recyclables from the public during the drop-off hours of 6:30am - 8:30am and 4pm - 6pm on Mondays. The UAB Recycling Center is asking for volunteers on Saturday, August 11, 2012 from 8am -5pm, to assist them with the Residence Hall/Dorm Move-in. Volunteers will assist in recycling the numerous boxes brought in by the incoming freshmen. It's a for good cause, plus - it's pretty fun. Much of the work will consist of breaking down/flattening boxes and tossing them in the dumpster, and also directing the parents and students to do the same. Whether you can help for the entire day, or only for a couple hours - it will be greatly appreciated! If you are interested in being a volunteer, please contact Life The Green Way for additional details. The U.S. experienced record-breaking temperatures for the first three months of 2012, and it's not getting any cooler (especially not in the Southeast where I live). Higher temperatures can also mean more heat-related illnesses and even death - especially in young children and older adults. Staying hydrated is key to keeping heat-related illness at bay. Below is a really cool infographic that provides detailed information including the how's and why's of staying hydrated. Enjoy!